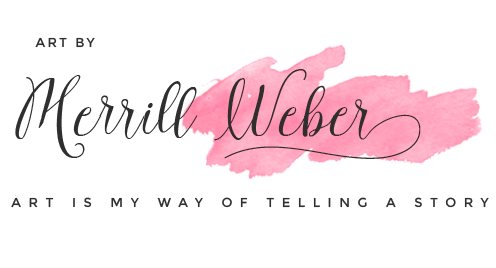 sunflower floral paintings by artist, Merrill Weber! Sets of art cards are $15.00. 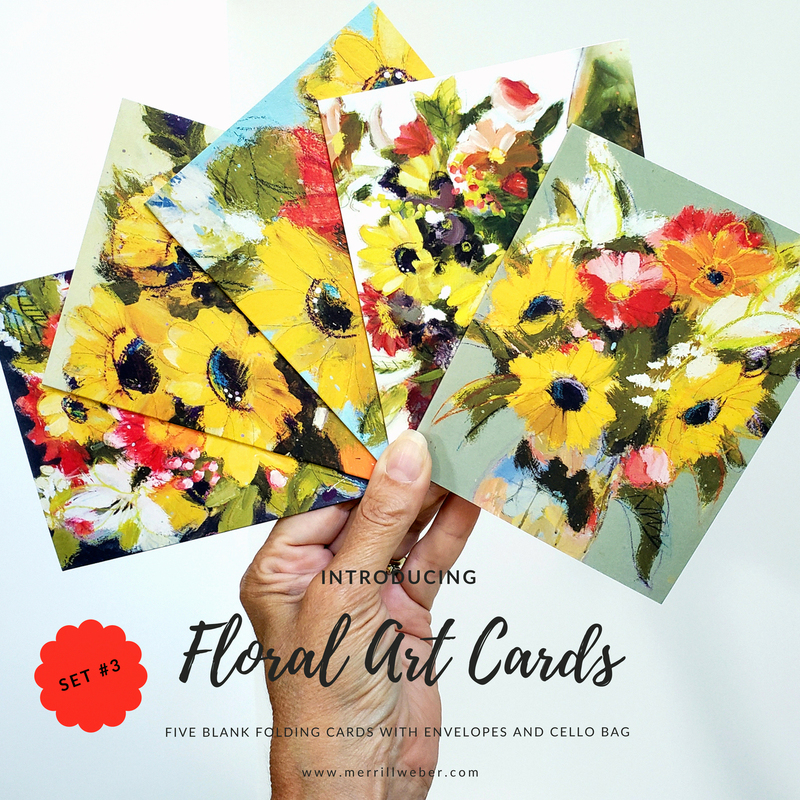 Sets of art cards make the perfect gift! 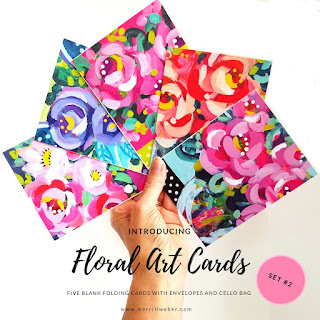 Folded cards are 5.5" x 4"
All five are tucked in a cello bag, ready for giving or keeping! 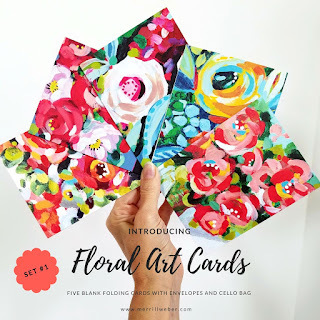 See all fun FLORAL ART CARDS HERE. And, now available, FLORAL TOTE BAGS!